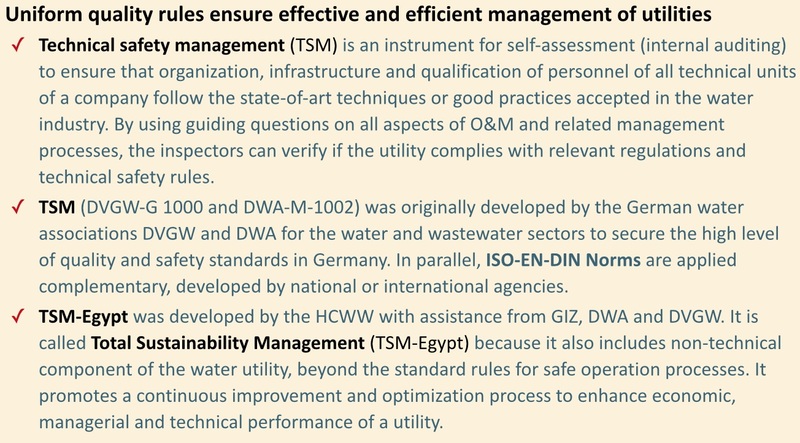 In the context of the ACWUA WANT program, financed by the German Federal Ministry for Economic Cooperation and Development (BMZ), GIZ cooperated with ACWUA in developing the TSM (Technical Sustainable Management) certification process to enable the utilities in Arab water sector to comply with national and International standards in Operation and Maintenance (O&M). The member utilities learned how to systematically identify deficits in their organization, technical performance and management. They are able to eliminate weak points and operate the plants following the local legal provisions and technical standards. 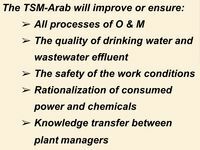 The project improved the implementation of TSM-processes in the Mediterranean region through improving the O&M (operation and maintenance) procedures of water and waste water facilities and the implementation of a plant certification system. 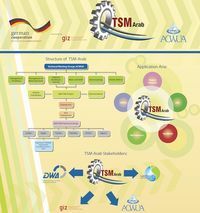 TSM-Arab Project targets in particular the following countries: Egypt, Palestine, Yemen, Algeria. 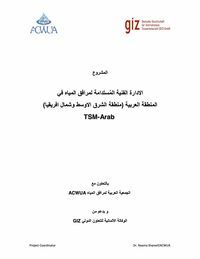 Two further pilot projects in Jordan and Tunisia are planned in 2016 for a TSM-Arab Application. 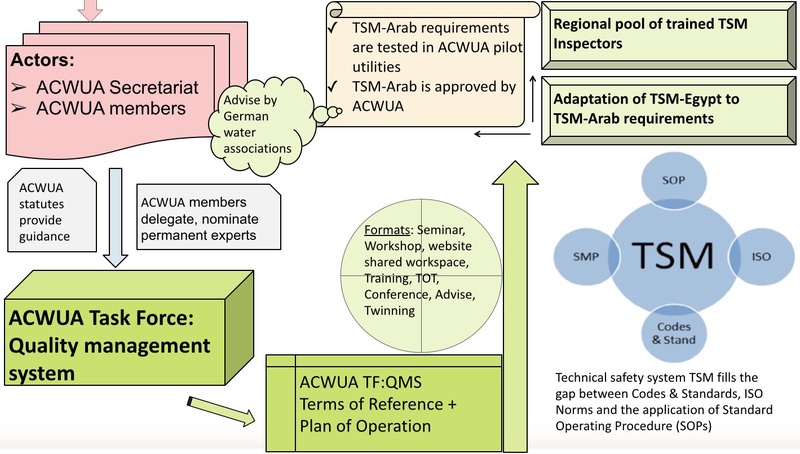 The Task Force QMS (Quality Management Systems) was established at the 6th ACWUA Best Practice Conference in December 2013 in Algiers and has about 15 members who are delegated from ACWUA water and wastewater utilities. According to the signed agreement between ACWUA and HCWW-Egypt in the area of capacity building of ACWUA member’s countries, and according to the proposed training package of the potential TSM Arab inspectors, ACWUA started to qualify a pool of Arabian inspectors within support from the ACWUA WANT program by GIZ. What is TSM all about?